A collection of companion healing books, to help you on your empowerment and healing journey. Each book contains a series of affirmations, that are designed to awaken your Inner Power, through reconnection with the Divine. In remembering who you really are, and your true essence, you can begin to dissolve and heal the illusions, that cause suffering. We believe that pain and suffering comes from the disconnection and disassociation with your True Self - your Divine Self. It is that part of you, that is Eternal, pure Light. The part of you that suffers, is the temporary self, or the "small you". Every time you identify with the small you, you experience, fear, doubt, shame, guilt, lack, unworthiness, confusion, unease, pain and suffering. By Awakening your Divine Self, you are able to perceive your experience as your Higher Self, and move from a place of Love and Abundance, rather than Fear and Lack. 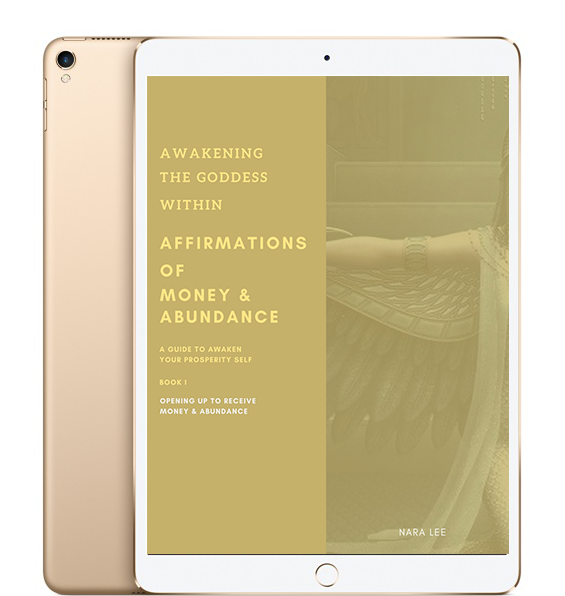 Awakening the Goddess Within, Self-Love Affirmations, have been designed to help you restore your inner power, confidence and build your inner muscle, by Awakening the power of the Divine that already lives within you, to Awaken the Goddess that lives in you. It is your truest and most authentic power. For if we cannot love our creator and acknowledge our creator within us, we cannot fully love ourselves. If we cannot honour our purest and Highest Self, we cannot truly honour all of us - all parts of ourselves. True self-love begins with Acknowledging and Awakening your own Divinity. The biggest robber of joy in the present moment, is this false idea that we should be different than we are, that we should feel differently than we do, and perhaps certain in things in our lives should have gone differently. "If only only I looked a bit thinner", "If only things were different", " I would be happier and everything would be perfect" - we silently think. "If only” is an illusion that robs and steals every ounce of our inner light and personal power. We cannot change anything if we do not first accept, embrace and love what is, no matter how unpleasant, messy the situation presents itself to us. When we accept, embrace and love what is, we are rewarded with magical Super Powers that help us Rise Up again. Self-Acceptance precedes the Rising and any Transformation you desire. Abundance is your natural Divine Birthright. In this abundance and money series we help you reconnect with your natural source of abundance. To remove the layers of illusion that make you perceive your reality through the eyes of fear, lack and not enoughness, and thus create it. Our physical reality is a projection of our inner reality. We change the outer - the illusion - by aligning ourselves with the Truth. There must be alignement between our internal and external world. Action without the right mindset is null. The right mindset without action is also null. Both are necessary components of creating money and abundance. In this book we help you let go of mental and subconscious money blocks, open up to receive abundance, and help you increase your money deserve level.